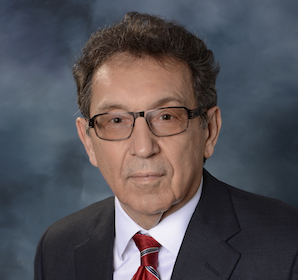 Attorney Verterano received a Bachelor of Science degree in accounting from Youngstown State University in 1964. He received an LL.B degree from Notre Dame Law School in 1967. He has been licensed to practice law in Pennsylvania since 1968. He is admitted to practice law before all Pennsylvania courts, as well as the United States District Court for the Western District of Pennsylvania, United States Court for the District of Columbia, the United States Third Circuit Court of Appeals and the United States Supreme Court. He is a member of the American Bar Association, Pennsylvania Bar Association, and Lawrence County Bar Association having served as its President from 2006-2008. He is also a member of the Pennsylvania Trial Lawyers Association and American Association of Justice. He served as solicitor for Lawrence County for 7 years, the Township of Mahoning for over 20 years, and has served as the solicitor for the Borough of New Wilmington since 2006. Attorney Verterano has attained the “AV Preeminent” rating from Martindale-Hubbell. This rating signifies that a large number of peers rank him at the highest level of professional excellence for legal knowledge, communication skills and ethical standards. In 2012, Attorney Verterano was selected by LexisNexis Martindale-Hubbell as one of Pittsburgh’s Top Rated Lawyers. Attorney Verterano has also been involved in many reported cases: In re Navarra, 185 A.3d 342 (Pa.Super. 2018); In re Estate of Navarra, 113 A.3d 829 (Pa.Super. 2015); Alkhafall v. TIAA-CREF Individual and Instit. Services LLC, 69 A.3d 219 (Pa. 2013); In re Young, 911 A.2d 605 (Pa.Cmwlth. 2006); Cleveland Asphalt Inc. v. Coalition for a Fair and Safe Workplace, 886 A.2d 271 (Pa.Super. 2005); Geniviva v. Frisk, 725 A.2d 1209 (Pa. 1999); Geniviva v. Frisk, 703 A.2d 16 (Pa. 1997); In re Estate of Geniviva, 675 A.2d 306 (Pa.Super. 1996); Perron v. Perron, 1993 WL 760140 (Pa.Com.Pl. 1993); Crawford v. Crawford, 633 A.2d 155 (Pa.Super. 1993); Com v. Frank, 595 A.2d 1258 (Pa.Super. 1991).